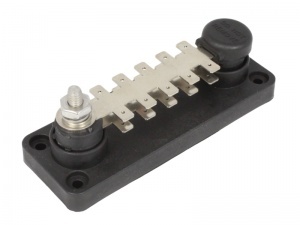 High quality 120A, 20 point busbar from VTE that allows multiple negative cables to be returned to a common point. 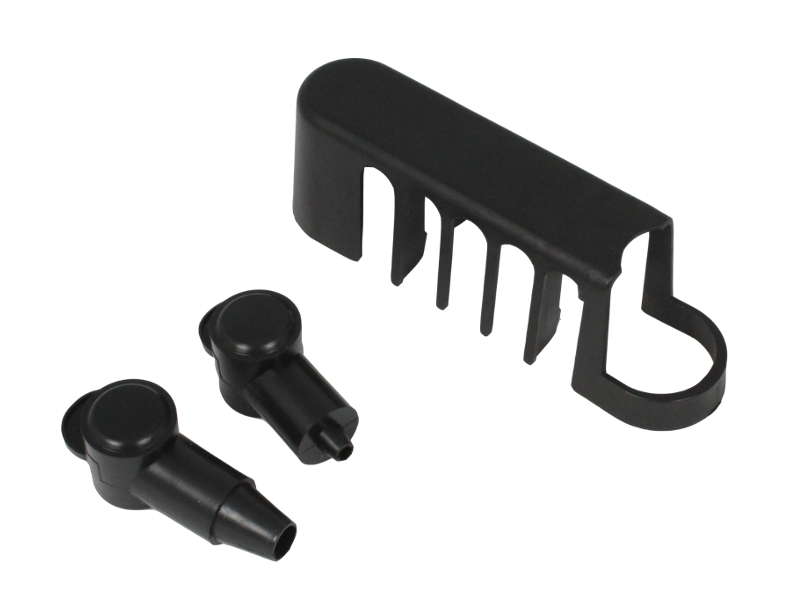 This version has push-on tab terminals allowing rapid and simple connection of cables fitted with 6.3mm female blade terminals. 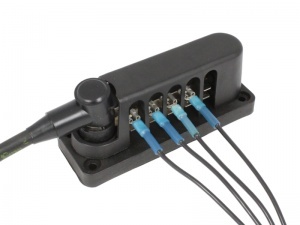 Each tab terminal is rated to 20A, making this a great solution for consolidating the negatives of lower current circuits in vehicles and boats. 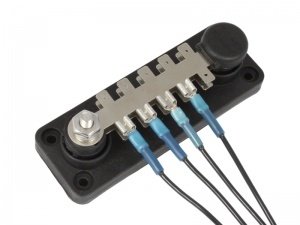 The main connection post is 6mm dia. (1/4") and the busbar body is secured via four mounting holes.